Girl Kuripot Girl Kuripot: The Crumpler Dry Red Travel Collection! Win One! Share This on Twitter! The Crumpler Dry Red Travel Collection has just landed in the Philippines! 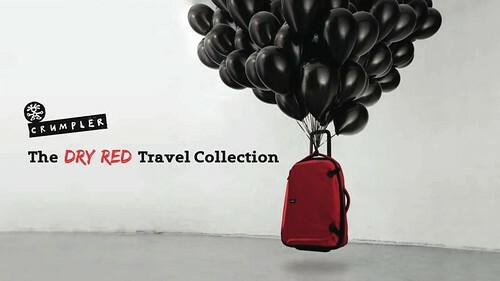 Introducing The Crumpler Dry Red Travel Collection now in Manila! The item in the photo above is the water-resistant Dry Red No. 11 (SRP P13950)! It's a 78 cm. Check-in Spinner Luggage, with six storage zones, elasticized compression straps, a padded lock handle and 360 degree castor wheels! This is just one of eleven bags in the Crumpler Dry Red Travel Collection! Now, here's a chance to win one! Of course you would have to guess which Dry Red it is. The mechanics are simple. Click on this link until March 24, 2012!